For two years, AV Rental Services, Inc. was awarded the concert equipment rental contract from the City of Philadelphia to supply all backline equipment for the Robin Hood Dell’s Summer Concert series. We have gone on to provide audio equipment rentals for large and small concerts in the Philadelphia area and surrounding suburbs. In addition, we have recently grown our staging and lighting inventory with a focus on concert rentals. 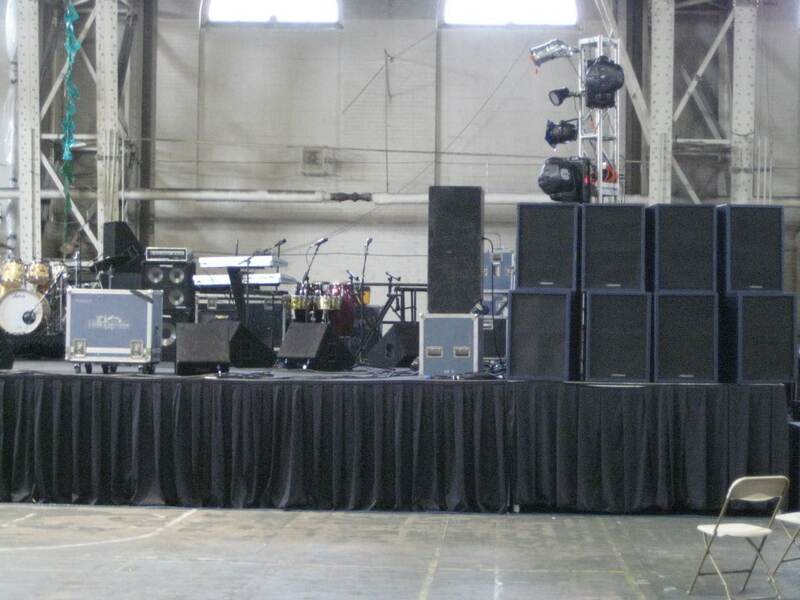 Brass Construction, ConFunkShun, and their opening acts performed a concert at the Army Reserve Armory in University City, Philadelphia, PA. We provided a 20 foot by 30 foot stage and extensive stage and spot lighting. With the joint efforts of the promoter’s planning and AVRS’ experienced staging and lighting service, the event took place pleasantly and trouble-free. AV Rental Services, Inc., as the audio-visual provider, coordinated, planned, supplied, operated, and managed a flawless event. There is a degree of professionalism that is expected when working alongside professional musicians. Our experience in the music industry has made us the first choice for many national music acts. Our insistence on purchasing industry standard equipment and maintaining well constructed Staging Dimensions, Inc stage decks allows us to provide the proper rider requested gear. Large or small venues, large or small clubs and bars can benefit, as it is our policy to ensure customer satisfaction in an efficient and cost-effective manner.